This blog is becoming — at least temporarily — a running account of events surrounding the proposed Earhart Memorial Monument on Saipan. 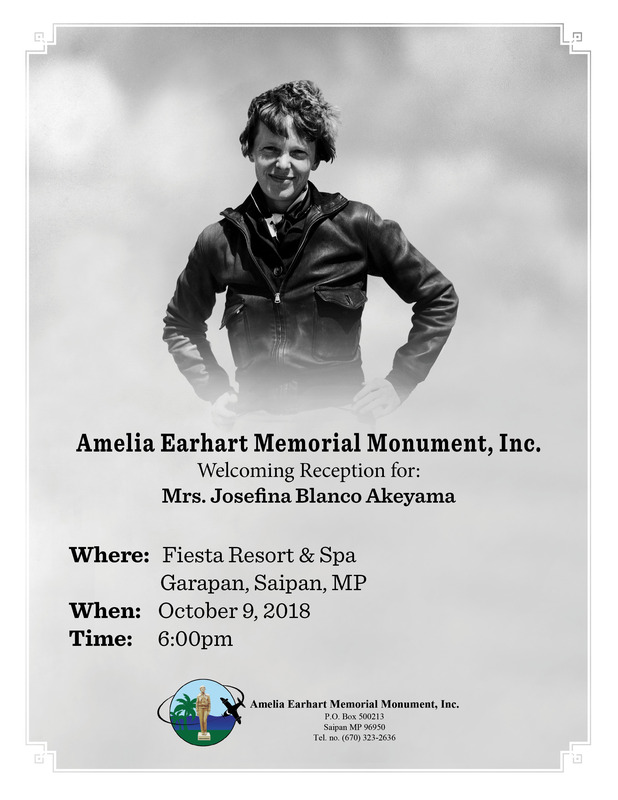 You will recall my March 2 post that announced the recent development on Saipan, Finally, some good Earhart news from Saipan, linking to the story “Group to build Amelia Earhart monument on Saipan,” that appeared in the Feb. 7 Marianas Variety (“Micronesia’s Leading Newspaper Since 1972″). On Feb. 14, Marianas Variety published my opinion piece, heartily approving of this welcome and unexpected news, “Amelia Earhart’s Saipan fate,” expressing my profound approval of the long-overdue decision to honor the First Lady of Flight at the location of her tragic and untimely death sometime after her disappearance in early July 1937. This memorial’s design looks fantastic, in my opinion, especially considering the $200,000 estimated price tag for its completion. Of course its size is vital, and the plan architect Herman Cabrera has unveiled indicates the diameter as 30 feet, quite impressive, with the statue height projected as 12 feet, and the base at 4 feet, 6 inches. Artist’s rendition of the proposed Amelia Earhart Memorial Monument on Saipan, sent by local Saipan architect Ramon Cabrera following the Feb. 7 Marianas Variety story that announced this amazing development for the first time. On March 7, TIGHAR’s Tom King stuck the first blow for the obstructionists, penning another of his typical missives, appealing to the uninformed biases of the indoctrinated masses on Saipan. King’s sanctimonious piece, Regarding Amelia Earhart’s monument on Saipan, was well received by the ignorant Facebook crowd, attracting well over 400 “Likes” to date; compare this to the paltry three that my own piece, Amelia Earhart’s Saipan fate, garnered on Feb. 7. If the Facebook reaction to King is any indication of the way the winds are blowing on Saipan, the prospects for the successful completion of the monument could be quite bleak. But I prefer to believe that those whose support is vital — the elders and over-60 generation of Saipan — are not in the habit of clicking “Like” in order to join the mindless horde, if they’re even reading these articles online at all. Dr. King’s sophistry is well known among those in the small Earhart research community, and his unending, noxious advocacy for the phony Nikumaroro “hypothesis” is often cited as a prime example of the definition of insanity. Not a single artifact in countless trips over 30 years that’s been dug up from the Nikumaroro garbage dumps has been forensically linked to Amelia Earhart or Fred Noonan, despite the constant drum beat of our corrupt media establishment telling us to buy this snake oil — and many of the ignorant and gullible have indeed bought it, much to their chagrin once they realized the Nikumaroro bill of goods is rotten at its core. In fact there are actually no real “theories” in the Earhart disappearance, as the word is defined. 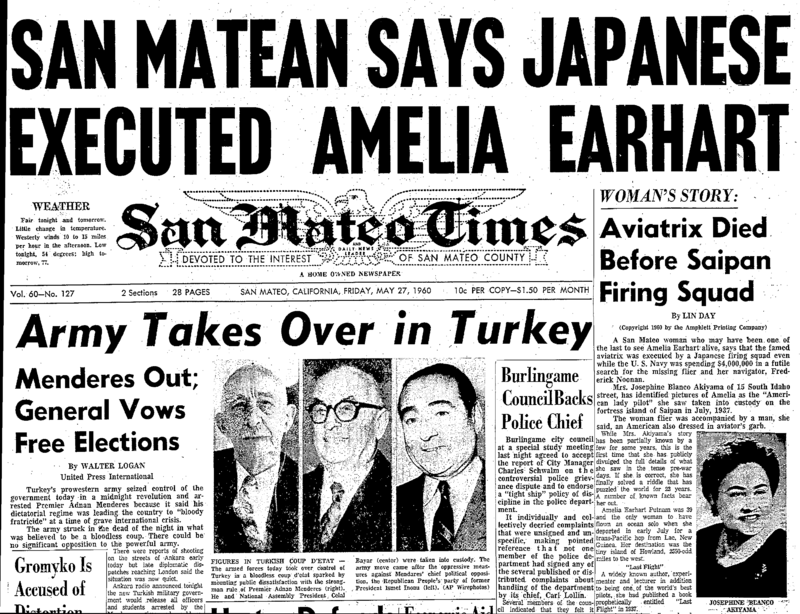 We have the truth — supported by several dozens of witnesses and documents — that Amelia Earhart crash-landed in the Marshalls, was taken to Saipan by the Japanese, and died there, as did Noonan, at some unknown date before the American invasion in June 1944. And we have lies, like Nikumaroro, that have been glorified and raised to the status of “theories” by an establishment desperate to protect the checkered legacy of our president at the time of Earhart’s death, Franklin D. Roosevelt. As I constantly stress in “Amelia Earhart: The Truth at Last,” and on my blog, www.Eaharttruth.com, the truth in the Earhart case has been a sacred cow in Washington since the earliest days of the search for Amelia. The time is long overdue for the truth to be recognized and accepted, and for the parasites who have made their livings by peddling lies about Amelia’s sad fate to go away and find more honest ways to earn livings. Likewise, there is no real Earhart “mystery.” Some in the U.S. government are well aware of what happened to the fliers, and the physical evidence that would reveal the truth lies in the deepest recesses of our national security apparatus, known to a scant few custodians of this precious evidence. I explain all this in my book and in my blog, and won’t go on at length here. 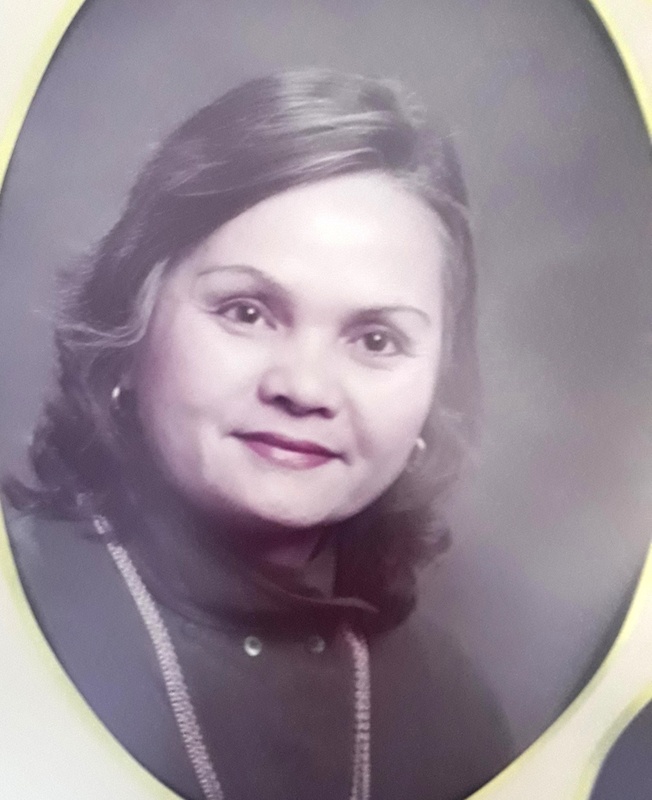 Undated photo of Marie S. Castro, now 84, the primary mover behind the recently approved initiative to build a monument to Amelia Earhart at the Saipan International Airport. Marie Castro agrees. “I read what came out on the Marianas Variety this morning,” she wrote on March 6. “How many professionals with Ph.D.s could come out with all sorts of theories to prove the truth? There is only one truth. Let’s help one another to prove what’s right, and the truth will finally prevail.” From Marie’s pen to God’s ears. On March 13, a shortened version of Les Kinney’s March 9 TIGHAR rebuttal on this blog was published in the Marianas Variety. Titled “Earhart bones’ just another of TIGHAR’s many false claims,” Kinney’s informed dissection of TIGHAR’s phony bones scheme was as badly received by the clueless Saipan Facebook mob as my own piece was on Feb. 7, at last glimpse drawing just two “Likes”! The great Ralph Waldo Emerson had something memorable to say about such groupthink phenomena: “A foolish consistency is the hobgoblin of little minds.” See the comments section for some interesting banter between Tom King, who knows that the successful completion of the Earhart Memorial threatens TIGHAR’s cash cow, Kinney, myself and a few other interested parties. In closing, again I ask for your generous donations in any amount to the Earhart Memorial on Saipan — an eminently worthy cause that deserves far more support than it’s getting. So few care about the truth, and every one of you is needed to make this dream a reality. I can’t address each one of you by name, but I always respond to every legitimate email you send. Without your help, the memorial’s failure is inevitable. Please make your check payable to: Amelia Earhart Memorial Monument, Inc., and send to AEMMI, c/o Marie S. Castro, P.O. Box 500213, Saipan MP 96950. Thank you. On Feb. 8 an alert reader, Ken McGhee, informed me about an amazing story he’d seen on the website of the Marianas Variety (Micronesia’s Leading Newspaper Since 1972) titled “Group to build Amelia Earhart monument on Saipan.” The headline captures the essence of this most unexpected and welcome news, and I’ve reproduced the story, which appeared on Feb. 7, as closely as possible below, or you can view the original article by clicking here. All shading and boldface emphasis is mine throughout. AN Amelia Earhart Memorial Monument will be constructed near the Francisco C. Ada/Saipan International Airport. 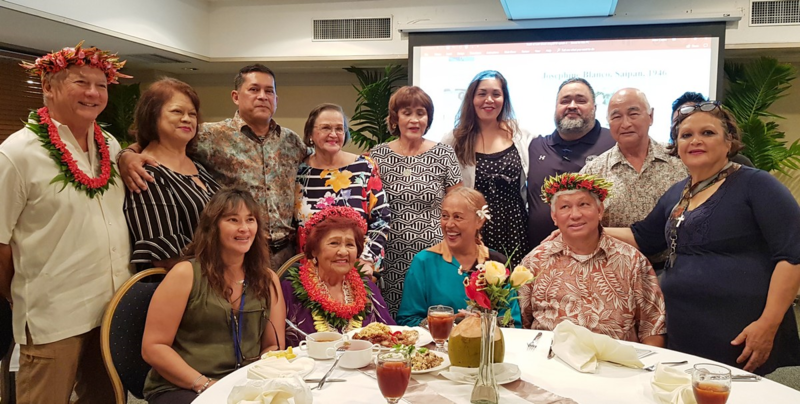 The monument committee, which was formed in Sept. 2017, is led by Rep. Donald Barcinas (Republican, Northern Marianas Commonwealth Legislature) who is now seeking funds for the project. 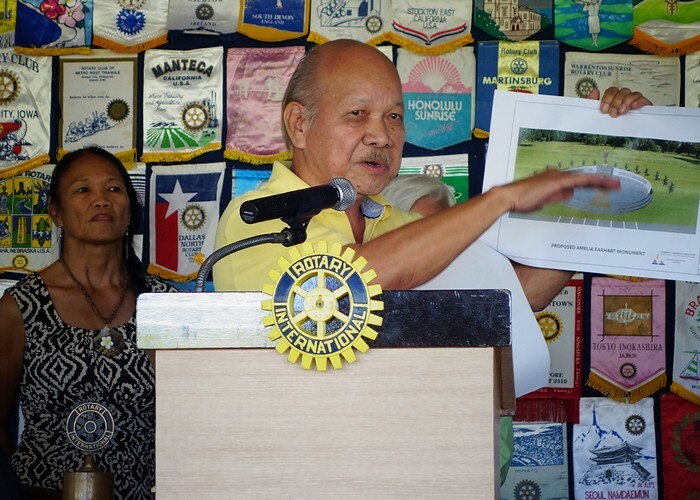 “We need at least $200,000 for the project,” he told the Rotary Club of Saipan during a meeting on Tuesday. 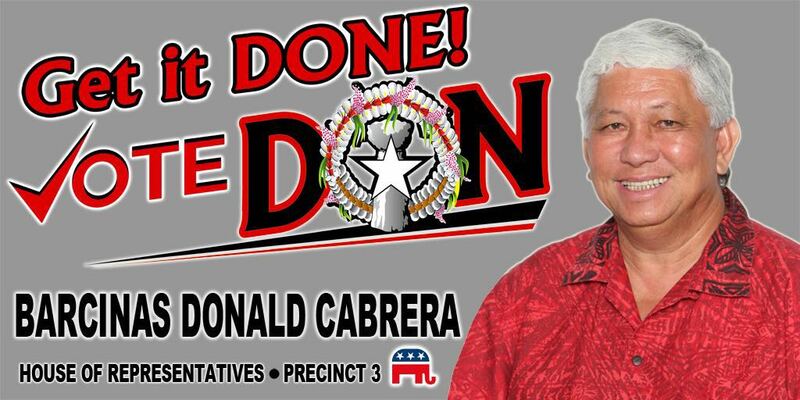 He said the project will further enhance Saipan as a Pacific tourist destination. Earhart was the first female aviator to fly solo across the Atlantic Ocean, and was one of the most famous Americans of her day. In July 1937, she and navigator Fred Noonan were trying to circumnavigate the world aboard a Lockheed Model 10 Electra, a twin-engine, all-metal monoplane, when they disappeared somewhere in the South Pacific. 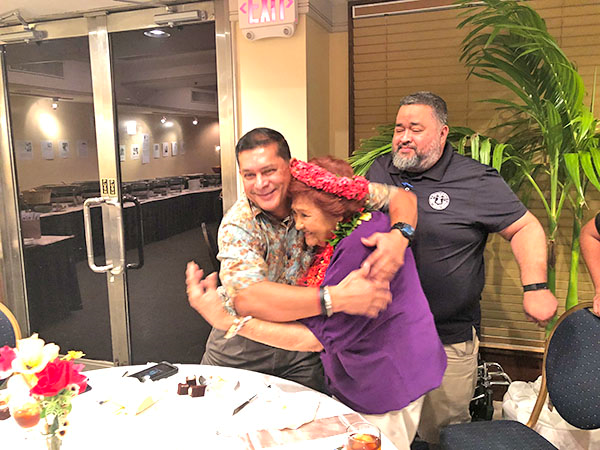 At the Rotary Club of Saipan meeting at Giovanni’s Restaurant on Tuesday, memorial committee member Herman Cabrera, a local architect, said the monument will be an 18-foot bronze statue of Earhart. In an interview, Barcinas said they will reach out to the Legislature, the governor’s office and organizations such as the Rotary Club for funding assistance. He said they have also met with the Marianas Visitors Authority to discuss the committee’s plan. Memorial committee secretary Frances Sablan said she joined the group after learning about the many “theories” that try to explain Earhart’s disappearance. Marie Soledad C. Castro, who mentioned Earhart’s disappearance in her 2014 memoirs titled “Without a Penny in My Pocket: My Bittersweet Memories Before and After WWII,” said the monument will announce to the world that Earhart was on Saipan in 1937. Castro was 4 years old at the time. 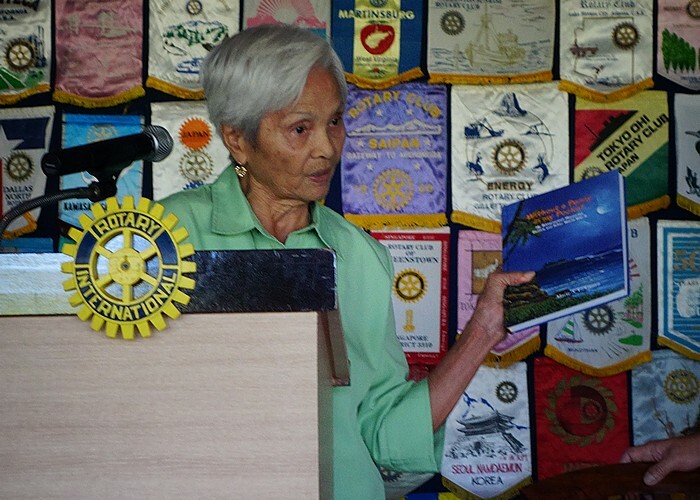 She told Rotarians about her interview in 1983 with Matilde Arriola who, Castro said, met Earhart when the aviator was detained by the Japanese authorities on island. According to Arriola, Castro said, Earhart died of dysentery. The body was cremated, Castro added, quoting a Japanese agriculture instructor who married a Saipan resident. “There was no Japanese cemetery at that time,” Castro said. Indeed there is, Marie, and most sincere thanks for having the fortitude to stand up and tell your Saipan countrymen about some of this mountain of evidence that attests to Amelia’s presence and lonely, miserable death on Saipan, abandoned by a president whose checkered legacy continues to require the protection of a cowardly, dishonest media to protect it from falling into historic disrepute. As the elderly population of Saipan dwindles with each day, the island’s cultural heritage continues to degrade, and without some new injection of the true history of the island into the community, Saipan will be no different than anywhere else, completely ignorant of the Earhart truth. The proposed Earhart monument is exactly what is needed. JUNHAN B. Todiño’s Feb. 7 story, “Group to build Amelia Earhart monument on Saipan” is the best news this Earhart author and researcher has heard in many years. I heartily congratulate the monument committee, led by Rep. Donald Barcinas, for their wisdom and fortitude in coming to their decision to memorialize this great American on the island where she met her untimely death at the hands of the pre-war Japanese who so mercilessly tyrannized the Saipan people. The truth about the wretched deaths of Earhart and her navigator, Fred Noonan, has long been a sacred cow in the U.S. government establishment and it’s media allies, and practically since the earliest days of Earhart’s July 1937 disappearance, virtually everything disseminated about Earhart’s fate has been aimed at disinforming and misleading not only the American public, but the entire civilized world. First it was the “Crashed-and-Sank” lie, an echo of the original Navy-Coast Guard 1937 report; then, after that canard became too ridiculous to swallow, a more recent but still long-debunked idea, that the fliers landed on Nikumaroro Atoll, in the Phoenix Chain, was pushed down our throats without surcease. Ignoring the massive body of available evidence supporting the fliers’ presence and deaths on Saipan, big media and history books tell us the fate of Amelia Earhart remains as much a mystery now as in the desperate days of the Navy’s futile search for the lost Electra. Nothing could be further from the truth; although numerous unanswered questions about the final flight remain, the common belief that the “Amelia Earhart Mystery” is an irresolvable enigma is known to be utter nonsense by those familiar with the facts. Contrary to the Navy’s conclusion that Earhart’s Electra “most probably” crashed and sank within 120 miles of Howland Island, or the Nikumaroro myth that Earhart and Noonan found Nikumaroro and soon starved to death on an island where plentiful food sources and drinkable water were available, the lost fliers crash-landed at Mili Atoll in the Marshall Islands, were picked up by the Japanese and taken to Saipan, where they suffered wretched, lonely deaths, falsely accused as spies by their barbaric captors. The elder population of Saipan is well aware of this fact, but the insidious influence of decades of American media propaganda have taken its toll, and the truth is not to be found among most of Saipan’s younger people. Saipan International Airport, also known as Francisco C. Ada/Saipan International Airport, is the site of the planned Amelia Earhart Memorial, although its exact location has not been announced. Following the Japanese attack against the United States in 1941, the field was named Aslito Field. The airfield was liberated by the U.S. Army 27th Infantry Division on June 18, 1944 during the Battle of Saipan, and later named Isley Field. 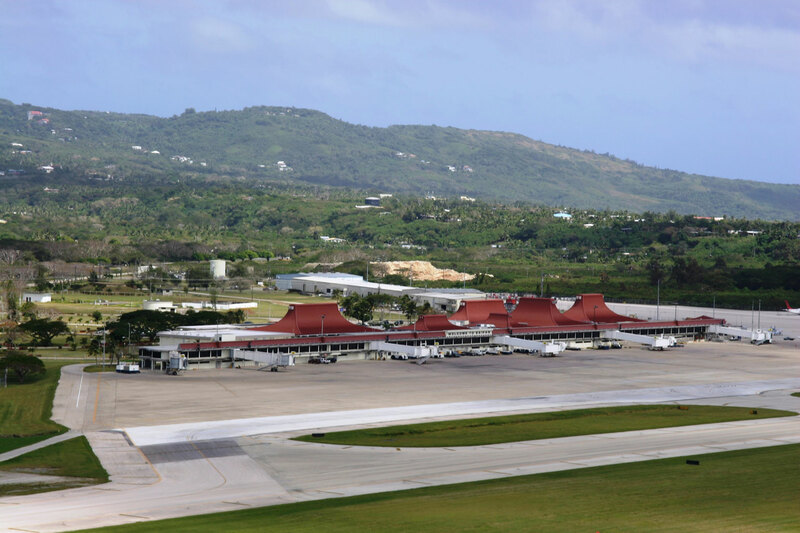 Saipan International Airport commenced operations on July 25, 1976, taking over from the nearby Kobler Field. According to Thomas E. Devine, author of the 1987 book Eyewitness: The Amelia Earhart Incident, Amelia Earhart’s Electra 10E was bulldozed with tons of other war rubble and buried in a deep pit under Aslito Field after it was burned beyond recognition by American forces soon after its discovery in a hangar at Aslito Field. The establishment of the new memorial should bring renewed attention to Earhart’s Saipan fate to a degree not seen since Fred Goerner’s early 1960s Saipan investigations focused the light of truth on the Earhart case, and produced the great 1966 bestseller “The Search for Amelia Earhart,” a book that galvanized significant numbers of Americans to demand the truth about Amelia’s demise — a demand that fell on the deaf ears of a Congress and president who stonewalled all attempts to break through to the Earhart truth. The U.S. government has long possessed the answers in the Earhart disappearance, but obstinately persists in its longstanding intransigence, insisting all the files in the case have been released, and dictating the terms of the debate at every turn. The solution to the so-called “Earhart Mystery” will never be found at the bottom of the Pacific or on a picked-over island in the Phoenix Group, myths the media regularly depicts as the only possible answers. The “hard evidence” that can bring final closure to the Earhart case has been locked away for nearly seventy years in the deepest recesses of our national security apparatus, its precise location known to a scant few caretakers of the priceless evidence — if it exists now at all. It’s darkly ironic that Earhart’s Electra 10E, NR 16020, was buried with tons of other war refuse under the Aslito Airfield (now the Francisco C. Ada/Saipan International Airport) after it was burned beyond recognition in July 1944 by American forces during the invasion of Saipan, according to former Army sergeant and Saipan veteran Thomas E. Devine, author of the 1987 book, “Eyewitness: The Amelia Earhart Incident,” and others who witnessed the plane’s destruction. Since nobody apparently knows exactly where the plane was bulldozed into rubble, we likely will never know how close the Earhart memorial will be to the true burial place of Amelia Earhart’s plane. Thanks to the selfless efforts of Rep. Donald Barcinas and his committee, those of us who cherish the memory of Amelia Earhart and long for Goerner’s “Justice of Truth” regarding her tragic disappearance have renewed hope that we might live to see the only real and acceptable solution to the Earhart case — full U.S. government disclosure of the Saipan truth. Mike Campbell is the author of “Amelia Earhart: The Truth at Last.” For more information, go to http://www.EarhartTruth.com. Donald Barcinas and his committee apparently have indeed “Got it done,” and if all goes well, soon an 18-foot statue of Amelia Earhart will grace a special area of the Saipan International Airport. Marianas Variety editor Zaldy Dandan was especially helpful, publishing my letter as an opinion piece, giving it better visibility, linking to the Truth at Last blog and displaying a huge photo of the cover of Amelia Earhart: The Truth at Last, which encouraged his readers to procure it. Unfortunately, no discernible increase in book sales or page visits to this blog ensued, confirming the relative paucity of interest on in the Earhart disappearance on Saipan. But a few good souls still care, and on Feb. 18 I received a surprising email from one of them, Marie S. Castro, 84, one of the principal movers in the Saipan initiative to build the Earhart memorial. “I read your most appreciated article about Amelia Earhart from the Marianas Variety on 2/14/2018,” Marie wrote, going on to say she lived in Kansas City, Mo., for 50 years, teaching in the Kansas City Public School System for 25 years before her retirement in October 2016 and her return home to Saipan. In 2014 Marie published her personal memoir, WITHOUT A PENNY IN MY POCKET: My Bittersweet Memories Before and After World War II and in 2015 she was one of nine authors who attended the annual Amelia Earhart festival at Atchison, Kansas. Outside the dorm and dining court that bear her name at Purdue University in Lafayette, Ind., a symbol of one of Purdue’s most famous icons has a permanent home on campus. This bronze statue of Amelia Earhart stands eight feet tall and holds an airplane propeller. The statue is a duplicate of one made by California artist Ernest Shelton in 1969. 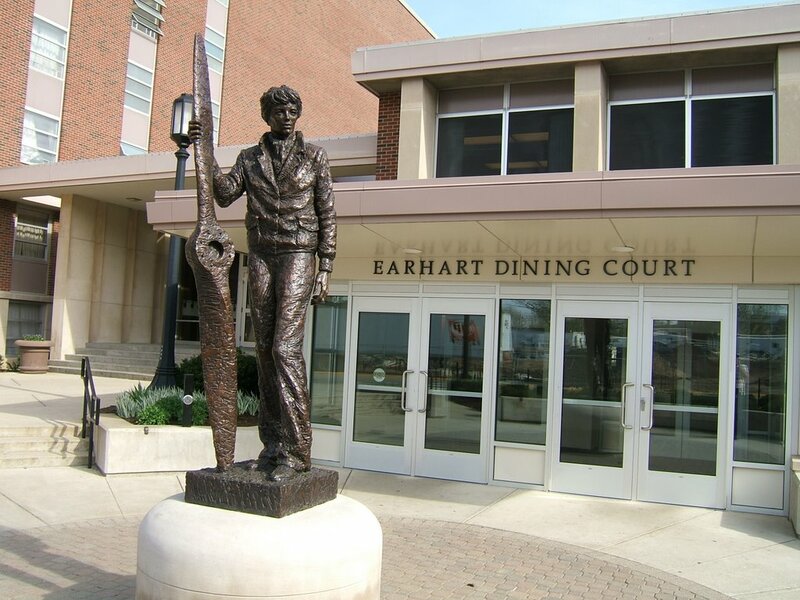 Earhart worked at Purdue from 1935 to 1937 as a counselor for women and as an adviser to the Department of Aeronautics. Will the new Earhart Memorial at Saipan International Airport resemble this one? After thanking Marie for her work on Saipan, I gently corrected her about her misuse of the word “mystery” in connection to the Earhart disappearance, and pledged my sincere support for this worthy and long-overdue development. Of course I will happily send her a check, but even better, I’ll ask readers of this blog to support the memorial in any ways they can. I’ve never asked for money on this blog, and you’ll never see distracting ads or pop-ups when you come here. But the proposed Amelia Earhart Memorial Monument on Saipan is the most worthy cause we’ve seen in decades, and its successful completion would be a very large step toward realizing our ultimate goal — complete U.S. government disclosure of the truth. Amelia Earhart Memorial Monument, Inc.
Marie also has sent an artist’s rendition of the proposed Earhart Memorial Monument, and it looks great, far more elegant and stylish than I would have expected for $200,000. I will be unveiling it here soon. Please check back often.